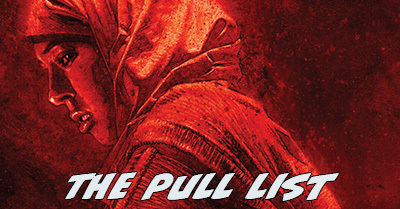 No, your eyes do not deceive you and it is not a typo – we’ve got a tie for the #38 most-wanted omnibus, and that tie brings us the newest of all the runs in the survey results. Avengers by Jonathan Hickman, Vol. 2 is the #38 Most-Wanted Marvel Omnibus of 2017 on Tigereyes’s Secret Ballot. Visit the Marvel Masterworks Message Board to view the original posting of results by Tigereyes. Past Ranking: This is a 2017 debut; Volume 1 debuted at #10 with a bullet in 2016. Probable Contents: It’s complicated. I cover it in full at the bottom of the post. Creators: Written by Jonathan Hickman. 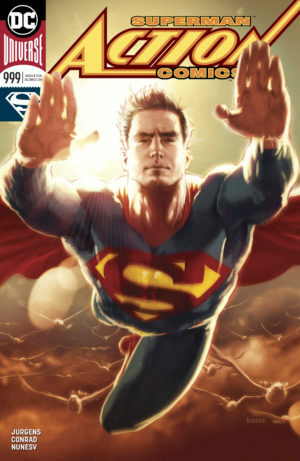 The co-writers and other artists vary wildly depending on what gets collected, but the core issues that we’ll see no matter what were drawn by Salvador Larroca and Leinil Francis Yu (Avengers) and Simone Bianchi, Rags Morales, Valerio Schiti, Kev Walker, and Larroca (New Avengers). Can you read it right now? Yes! This Avengers and New Avengers portions of this run have now been collected in three formats, all still readily available. 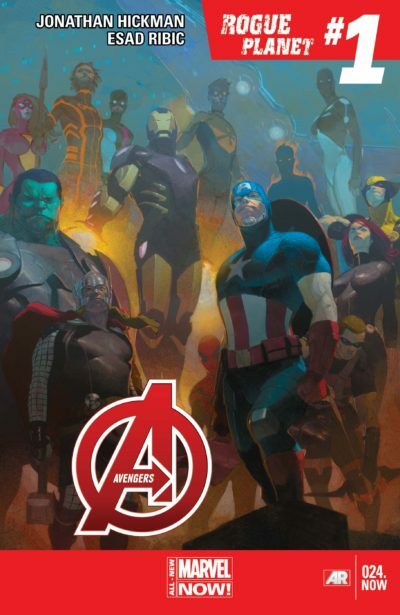 Avengers World is around in TPB only. It’s all covered on the Guide to Avengers Flagships. Plus, all three series are available in full on Marvel Unlimited – Avengers, New Avengers, and Avengers World. The first Avengers by Jonathan Hickman Omnibus will be in our hands in a matter of weeks, and it collects exactly what fans were hoping for (and exactly what I predicted last year) – an integrated run of Avengers and New Avengers that incorporates Infinity, ending with Avengers (2013) #23 and New Avengers (2013) #12. There is much debate over what a second volume of Hickman Avengers will contain, and I’ll cover that in detail below. What’s in common between the three possibilities is that it will surely cover both Avengers and New Avengers through the start of the “Eight Months Later / Time Runs Out” period, which begins in Avengers #35 and New Avengers #24.